This Plugin is a Slimefun Addon which adds a private Chest to the Game as well as a magical Lock. but it also adds regular Chests with these Attributes. Each Tier has its own Texture. The private Safe can only be opened or broken by the Creator of it. Updating from PrivateStorage 2 -> 3? 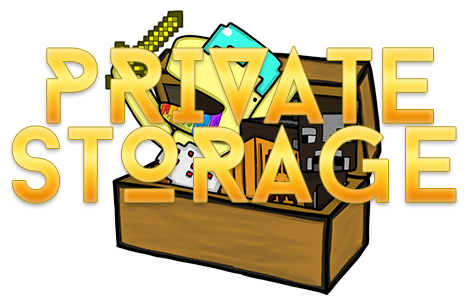 Sorry, but all your Safes/Chests will no longer work on PrivateStorage 3. You sadly cannot keep your data. where can we find the source for this? I want to translate it into Chinese! could you give me the source? Ok so i started a spigot server for 1.11 with my cousins and everything was going fine until when i tried to open up one of my iron chests it didnt work. So of course i immediately tried to break it to get my items. I only got a skull that was an iron chest. I placed it down again. It worked but all my items were gone. Same bug with SF backpacks in the normal one. Now my cousins are sad and i don't know what to do because all of our items are gone. now it happened to the ender chest addon. Hey there kyle5507 the reason this is happening is because you need to type /sf guide. Then open it and go into private storage and you will need some levels but you need to unlock the item you need to place down. Hope this helps! im haveing a issue with the same thing players can not add people to there lock list any ideas on how to fix this? Magical lock isnt working when we add players to the chests plz look into it. I just made a post about the same thing and another dupe glitch on the main slimefun page, sorry I didn't see this first. I can confirm that the same bug is on my server and is pretty big. Thanks. Hmmm. I will look into it. A weird bug I noticed when playing, and one of my players noticed as well. When I originally learned the research, I crafted the storage chest and I placed it down, I went to open it and it said "You do not have the knowledge to use this!" I kind of gave up on it, and after a server restart I tried again and it worked. I don't know how this happened, but a user complained as well and I restarted and then they could use it. They cannot pull Items either. It is absolutely secure. It does not even work with Pipes from Mods.